Activities aimed at improving the basic skills of reading, writing and number. 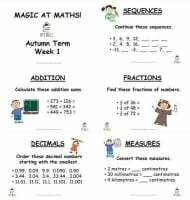 Back 2 Basics Activity Cards - Autumn Term Pack. With this termly pack you will receive 12 weeks of activities at the time of purchase. Back 2 Basics is a carousel of activities aimed at giving children regular practise at the basic skills of reading, writing and number work. Each activity is planned to last approximately 10-15 minutes, and is ideal to be completed first thing in the morning or straight after lunch. The children complete one activity every day so it is best to create 5 groups within your classroom. As the teacher you can then decide which group you work with - for example you may like to work with the reading group. Reading Activity - now linked to the assessment focuses! These cards are best printed and laminated so that they can be used throughout the week and again the following year. 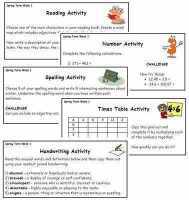 Each week consists of 5 activity cards (one for every day of the week) They are not differentiated but some of the activities do have challenges to stretch early finishers. 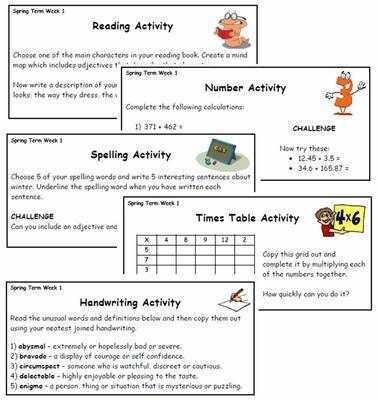 These activities are aimed at children in Year 5/6. Back 2 Basics resources can only be emailed out or sent out on CD. Please select your preferred choice at the check out. Why not link this resource with our weekly spelling packs? For more information check out our literacy section.